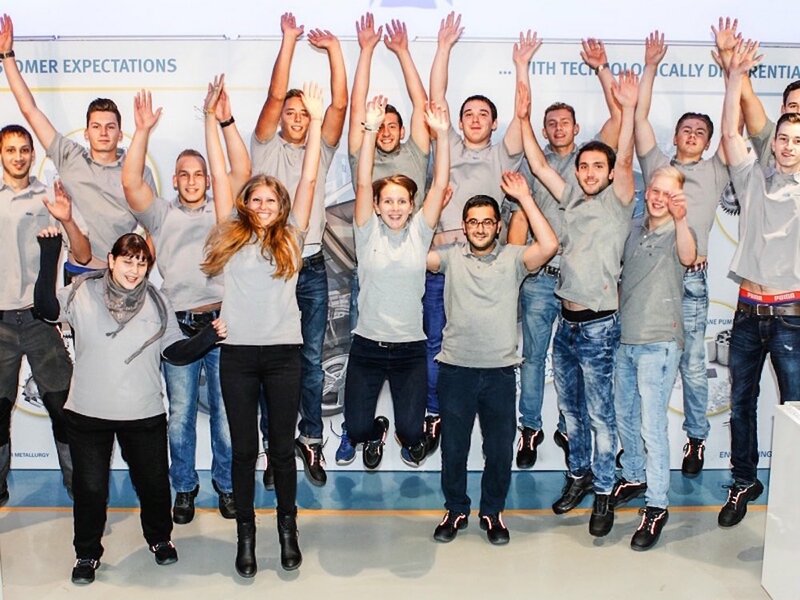 With innovative employees as the beating heart of GKN and the basis for developing innovative future technologies - it makes sense that investing in the millennial generation is key for this global engineering company. “The trainee program includes four projects at different GKN sites, with one project being abroad. Each project lasts about six months, so this takes two years. It was previously only intended for engineers, but now the program exists in many departments such as Quality or Sales.” Having started her first project in Radevormwald, Marlen was seconded to Bonn and then Bad Brückenau - with an assignment at a factory in the USA included as part of the program. “What is great about the program is that you constantly see new things, you learn to work and live independently, and you find out what you are good at in your working life,” she says. When asked how this particular training program has benefitted her, Marlon is certain of its impact on her career possibilities. “Contacts, contacts, contacts... you’re away from your normal environment so you need to make a lot of important contacts. If ever you need help or you’re not getting on very well somewhere, you know straight away who you can talk to. That is a great help to me in my current project, for instance, as I rely on the help of one of my contacts in the USA,” she exclaims. Living abroad has also helped Marlen develop her confidence and allowed her to see the world from a different point of view. “Living abroad helped me develop. Simply being thrown in at the deep end and getting to know a different culture. As a trainee you also often get to work on exciting projects that a company would like to implement but usually doesn’t have the resources for on a day-to-day basis,” she says. When asked if she feels supported and encouraged to push herself at GKN, Marlen is confident that the company is working with her to help her grow. “I get support by being trained in things which are new to me, or which I need for my work. I recently went on a training course in Sweden - they made it possible for me and I was very pleased about that. “If I have a look at my training plan this year, I have a couple of courses and training sessions booked already. It is important to show readiness and interest because you get the support you need,” she states. Following her current role on the trainee program, Marlen is confident that she will sign a permanent contract with GKN soon. “When so much time has been invested in my training, I naturally want to give something back to the company.” she says.